Year 1: Hawaii, Paris, Alaska. Year 2: Maxine quits teaching, Isaac born, move to Utah, Collin back to school. Year 3: Move to New Zealand, Collin at Weta, upgrade to DSLR camera, South Island trip with Barringtons, move homes, scooter accident, Japan. Year 4: Move to L.A., Collin at Disney, so much Disneyland, Vegas with Parrish sibs, Samuel born. 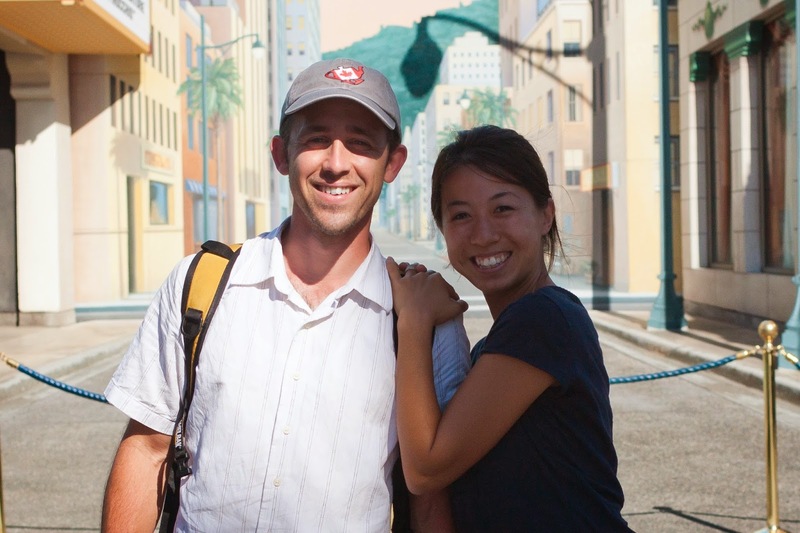 Year 5: Move to Burbank, Collin at Dreamworks, move to Utah (on our anniversary, even). Year 6: Sea World, Collin surgery, Elinor born. Year 7: More surgery for Collin, SLC staycation, become homeowners. Year 8: Get dog, sell dog, Monster trucks, Cedar City cabin, Disneyland, chickens, gardening. Happy 8 years, Collin! I love us!